Dortmund/Germany, March 19th 2018. The cabling systems tML, tSML, tBL and tDF by tde – trans data elektronik are now available with the new OM5 fibre. As a result, these highly flexible plug-and-play platforms offer even more options when migrating to higher transmission rates. For better differentiation, the network specialist designed its LC and MPO connectors as well as the corresponding adapters as LC quad and LC duplex versions in the officially standardized OM5 cable colour „Lime green“. As the only supplier on the market to date tde has equipped the adapters with self-closing dust and laser shutters as standard. All tde cabling systems with the new OM5 fibre are now available. The network expert has integrated the cables with the officially standardized colour „lime green“ into his proven systems. This includes the successful modular and semi-modular plug-and-play platforms tML and tSML, the tBL product line for classic cabling and the modular and centralized fibre optic distribution frame tDF. As with previous OM fibre classes, tde has also designed the LC and MPO connectors and the corresponding adapters in the OM5 cable colour „Lime green“. „For network engineers, it is particularly important to be able to distinguish the OM classes of multimode fibres by the colour of the cable jacket and the connectors. This provides greater clarity during installation and patching. This has proven itself since the introduction of OM3,“ says Andre Engel, Managing Director of tde. tde offers the adapters as LC Quad and LC Duplex versions. They integrate self-closing dust and laser shutters made of metal as standard and ensure the transmission quality of fibre optic cabling maintaining a high packing density. „We are very pleased to be the only manufacturer on the market to offer adapters with integrated shutters. This underlines once again our high level of innovation,“ explains Andre Engel. tde now also provides all common cable types, patch and trunk cables with the OM5 fibre. tML is a patented, modular cabling system consisting of the three key components module, trunk cable and rack mount enclosure. The system components are 100 percent manufactured, pre-assembled and tested in Germany. They enable plug-and-play installation on site – especially in data centres, but also in industrial environments – within the shortest possible time. The system is characterized by highest packing density and highest flexibility during migration to higher transmission rates. Fibre optic and TP modules can be combined in one rack mount enclosure. 96x fibre optics LC Duplex or 96x MPO connectors can be used modularly on a 19-inch height unit. Thanks to its patented polarity and dark fibre modules, the tML system offers the simplest migration options to 100G and more. Dortmund/Germany, 11 February 2016. 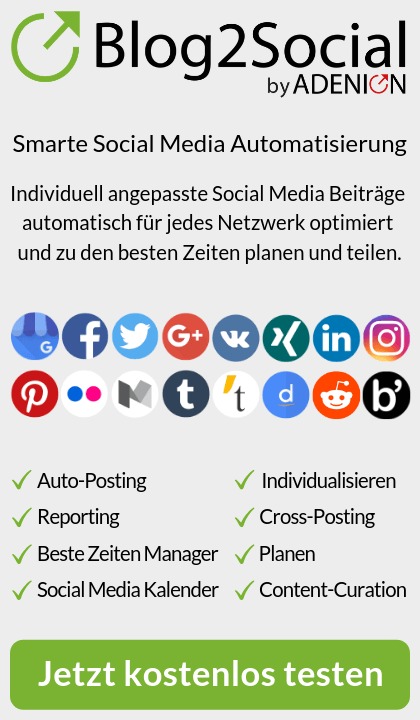 The network specialist tde – trans data elektronik GmbH has a new internet presence: At www.tde.de, visitors can expect a responsive web design with intuitive user interface. Descriptive product images and clear navigation help users to quickly find the requested categories and solutions. During configuration, tde attached particular importance to establishing a seamless link between the online catalogue and tde“s own shop: Thanks to the integrated testing system, products can be accurately and plausibly configured and directly ordered here. In this way, the modern website is intuitive to use ranging from first information right through to the ordering process, and is designed for high-quality service. At the same time, tde also updated the company logo. With redesigning and updating the website, tde offers its customers an online platform tailored to their particular needs: The clearly structured website focuses on tde“s extensive product range. From the homepage visitors can reach the the six product areas on the subpages with only one click. The well-structured arrangement featuring high-quality images helps users to quickly and easily find their requested articles. Data sheets providing further information are available for download as pdf files. 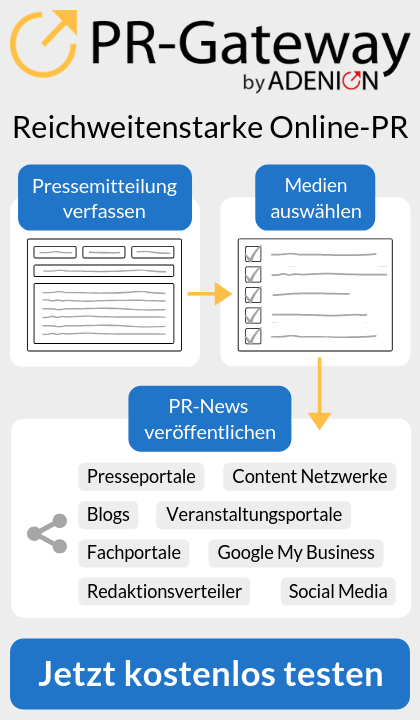 Moreover, articles can be filtered by using attributes, which makes the search even more comfortable. Depending on the product, users can search for and choose from systems, categories, plug connector types, cable and fibre types as well as colours. Alternatively, the industry-wide unique fibre optic patch and trunk cables as well as fibre optic splice box configurators are available for customers here: In this way, cable as well as splice and breakout boxes can be configured accurately and custom-made. So as to facilitate the ordering process, tde has closely linked the new website to the company-own shop: Using a direct link below the product range customers can comfortably order their requested solutions. Thanks to the trusted shop certificate and the quality seal award customers enjoy a high level of security while shopping. Information on the company tde, current events and success stories round out the new website of the network specialist. Dortmund, 22. July 2015. tde – trans data elektronik has now integrated the tried-and-tested fibre-optic patch and trunk cables as well as fibre-optic splice box configurators into the B-to-B web shop. In this way, the network specialist offers an industry-wide unique range of configuration possibilities. When placing their orders users can already choose from a wide range of products for their individual configuration of fibre-optic patch and trunk cables as well as splice boxes and breakout boxes with a variety of mountings. An integrated intelligent test system guarantees web users to configure feasible and correct applications only. After configuring the application users can immediately place their order, which is then transferred to tde“s inventory and control system. Since time-consuming queries no longer arise and customer needs can be processed more efficiently tde is able to deliver the order within 24 hours. Customers can order tde“s wide product range including applications created with fibre-optic configurators for the application areas datacom, telecom, industry, medical and defence directly at http://shop.tde.de/. Customers can now individually create and directly order a variety of configurations in tde „s web shop. tde has enhanced the usability of its B-to-B web shop and expanded it with the configurators for customised fibre-optic patch and trunk cables as well as fibre-optic splice enclosures. This enormously increases the product range without tde having to store the articles. As a special feature customers do not have to leave the system to place their order and receive a feasible and correct configuration including the data sheet. The result is a high standard of quality throughout the entire process from placing the order to the finished product. When designing the web shop and the configurators tde attached great importance to intuitive usability and professional support: In only three easy steps customers can specifically and correctly configure fibre optic cables. The customer first chooses the cable and then the connectors before deciding on extras such as pulling socks or labels. Based on the selected parameters the choice of cable types or connectors is automatically reduced so that feasible configurations are guaranteed. This principle is also used for the fibre-optic splice enclosure configurator for splice boxes and breakout boxes with different mountings; all common fibre-optic connector types ranging from ST to E2000 connectors can be used. For the configuration customers first choose the enclosure from the drop-down menu followed by the mounting according to the criteria fibre type, fibre optic adapter type and pigtails. Lastly, customers can decide whether they want their application prepared ready to splice or equipped with a crimp splice protection. For a better understanding a matching picture of each component illustrates every step. To avoid mistakes and queries and to be able to react efficiently to customers“ needs tde has integrated an intelligent test system for feasible and correct configurations. In this way the configured applications can be ordered directly in the shop without errors and the network specialist is able to deliver within 24 hours. Customised labels can also be added. „High quality, reliability, fast reaction times and short delivery periods for our customers are our aspiration. The very high acceptance of our online tools and the positive feedback on our web shop confirm that we really meet our customers“ needs,“ Andre Engel, CEO at tde, says. „This is why we will further expand this offer in the future“. The configurators for the fibre-optic patch and trunk cables and the fibre-optic splice enclosures are now available at http://shop.tde.de/. Dortmund/Germany, May 5th 2015. tde – trans data elektronik GmbH adds the tBL RJ45 keystone module for a tool-less installation to its tBL – tde Basic Link (TP) product range, which is suitable for the structured cabling of buildings. The special feature: The module can be mounted on the cable without additional tools. In this way, it can be installed in a fast, comfortable, and very easy way. Depending on the quality of the mounting and of the cable, the module provides excellent performance with additional reserves and allows for measuring link lengths starting from five metres. The module, which is certified by the independent test laboratory GHMT AG, corresponds with the category 6A for a maximum frequency of up to 500 MHz. It also features a very good price-performance ratio. The module is suited for the installation of cables with a core diameter of AWG22 to AWG24. The network specialist offers a wide range of carrier systems for the tde Basic Link system solution including multi-design wall outlets, that can be combined with all wall oulet series of leading manufacturers. The latest high-quality addition to the tde family complements the successful system solution tBL -tde Basic Link (TP), which is used for the structured cabling of buildings in Cat6A with transmission rates of up to 10 GbE in real-time. The tBL cabling link, is equivalent to a permanent link according to ISO/IEC 11801 (EN 50173). The RJ45 keystone module can be installed without tools and supports network specialists by providing a timesaving and comfortable cabling solution. The connector module“s housing with installation dimensions of 19.3 mm x 14.6 mm is made of zinc die-cast and serves as excellent shielding. The transmission rates are extraordinary and offer sufficient reserves. Link lengths of five metres and more are possible from a measuring point of view. Cables with a wire range of AWG22 to AWG24 can be used. Furthermore, the independent test laboratory GHMT has certified the RJ45 module according to the standards ISO/IEC 11801 and IEC 60603-7-51. „We are delighted to offer our customers the RJ45 module, which facilitates the work of network technicians. The tBL RJ45 keystone module ensures a quick and easy cable termination. Additional tools are not required,“ Andre Engel, CEO at tde – trans data elektronik, says. „A further advantage is the excellent price-performance ratio. The new module requires little installation effort and in this way not only helps users save time but also costs,“ Engel further explains. A wide range of carrier systems completes the system solution. The carrier systems include multi-design wall outlets, floor box frames, consolidation point housings, DIN rail modules and 19-inch patch panels. Dortmund, Germany, 1 October 2014. tde – trans data elektronik, pioneer in the field of multi-mode fibre optic technology, now offers the successful tML – tde modular link cable system in the expanded version tML-Xtended. The patented system is equipped with a new fibre optic module which ensures the extremely easy and fast migration to 40 and 100 GbE. The special feature: before and after the migration the network technician can work with identical components and patch cables on both sides. This facilitates the stockage and also the handling of the network. Thoughts about polarity are no longer necessary. „With our new tML-X module we meet the demands of our customers to facilitate migration to higher transmission rates“, Andre Engel, CEO of tde, says. So far, users had to work with the familiar normed module polarity methods A, B and C with different modules or patch cables. In practice, this resulted in an extremely complicated handling prone to errors. „This is where the tML-X module comes in with its new innovative polarity. The result is an equal polarity of the modules and patch cables on both sides – even after the migration to 40 or 100 GbE. The customer no longer has to think about polarity“, Engel adds. The tML-X module is based on the tML-HD module. It has 12x LC duplex connectors at the front and 2x MPO/MTP connectors with 12 fibres each at the back. The 12x LC duplex connectors are arranged in two mirrored rows with 6x LC duplex connectors each. The tML fibre optic cables MPO/MTP are used with type B polarity. The polarity in the module corresponds to the method B according to EIA/TIA 568.C. tde has now integrated both different polarities in one module for an easier handling. The type B polarity of the trunk cables later ensures the easy migration to 40/100GbE. „We have achieved the desired crossing of the fibres by installing the module turned by 180 degrees on one side and by swapping both MPO connectors at the back. Since one fibre each has to run from the sender to the receiver of the transceivers, a crossing of the fibres is always achieved in the fibre optic link“, Andre Engel explains. „The tML-Xtended once again adds a further unique characteristic to our successful tML cable system. There is no other comparable product on the market. The packing density of 96x LC duplex ports on one height unit is unrivalled“, Engel continues. tML is a patented modular cabling system consisting of the three main components module, trunk cable and module rack. The system components are a 100% made, pre-assembled and tested in Germany. They ensure a plug-and-play installation on site – especially in data centres but also in industrial environments – within a very short time. The core of the system is the MPO/MTP and telco connector at the back, which can connect at least six ports with 10 GbE or GbE performance all at once. Fibre optic and TP modules are available which can be used together in one module rack with a very high port density.